Michael Farkas has over twenty-four years storytelling experience in narrative, feature length, documentary, and marketing films. Mr. Farkas earned his BA with honors in Cinema/Television production at the prestigious USC film school in Los Angeles, CA. In 1984, Mr. Farkas produced and directed the theatrical feature film Prime Risk, budgeting at 1.5 million dollars, distributed on HBO, Cinemax, and broadcast worldwide. 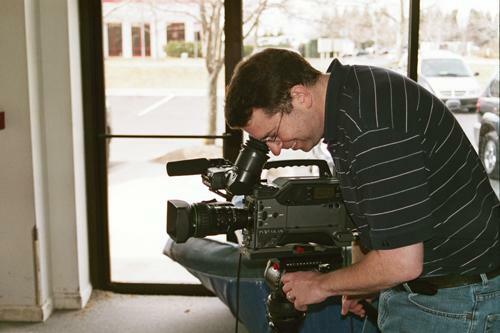 In 1987, Michael started Infocus Video in Washington, D.C., where he has directed, photographed, and edited over 250 television productions. His clients include MetLife, Sprint, Unisys, Discovery Channel, U.S. Navy, Department of Defense, Cisco Systems, American Express, FDIC, and many U.S. government agencies. Mr. Farkas has won numerous awards for his work, including Best First Feature Film (International Festival of Films and Youth, in Paris), ITVA, Telly, CINE Golden Eagle, National Government Communicators Award, the U.S. International Film Festival, and Worldfest Houston. Michael is a member of Delta Kappa Alpha, a USC Cinema honorary organization, and is also recognized by Who's Who in Entertainment.